It is no surprise that in Toronto, hardwood flooring remains widely used. As the year draws to a close, it is hard to believe that 2018 is almost behind us. For several years, as technology has been developing rapidly, design trends have been balanced between sleek, futuristic style and accent pieces grounded with timeless and natural elements. Synthetic materials can mimic the appearance of this classic element, but they simply cannot take the place of the real thing. For those who love to participate in the evolution of design, authentic hardwood is an undoubtedly valuable investment since you can refinish it to change colour and style, staying on trend. As we look back, four defining elements stand out for hardwood flooring in 2018. Modern consumers crave style that reflects their individuality, and that has resulted in traditional colours for hardwood being replaced. Popular shades tend to be either very light or very dark, and 2018 saw a preference for cooling rather than warm tones. Dark wood is extremely stylish, but it requires more maintenance to look flawless since dust or specks of dirt are more easily visible. Very light hardwood is more forgiving, and it lends bright warmth to a room. Grey floors are also on the rise, and this extends to natural wood. Mixing in grey helps to cool down the warm tones of brown hardwood, and it has also become popular to refinish outdated wood floors by sanding and staining them grey. This can be a challenging project, so be sure you are working with an experienced professional before you undertake a floor makeover along those lines. In previous years, flooring was designed and finished to be as smooth and shiny as possible. This was extremely challenging to maintain and is one reason that hardwood can have a reputation for being difficult. Modern consumers value the long-term sustainability of hardwood flooring in Toronto, but they do not want to put their lives on hold for the sake of glossy floors. 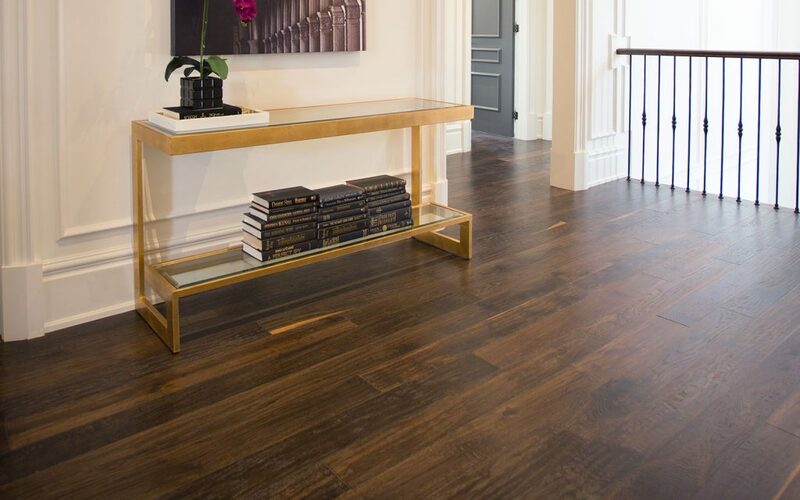 Textured hardwood planks are a growing trend that is ideal for modern households that are bustling with activity. It is a practical solution for homes with children or pets, or where guests are frequently entertained because it is much more resilient against everyday use. Continuing on the theme of trends that are beautiful and functional, 2018 showed a continued shift toward low lustre finishes, with matte and satin as the most popular sheens. High gloss finishes show every iota of dust and highlight even the tiniest scratches or dents. Those with hardwood flooring in Toronto have noticed that low sheen finishes are best at bringing out the natural beauty of the material without highlighting scuffs when they happen. Combined with texture, this take on hardwood floors is perfect for high-traffic areas. Open-concept layouts remain popular in 2018, and for large, open rooms, these planks that are long and wide create a stable visual foundation. Larger floorboards make any area of the home look more expansive, and fewer pieces of flooring are needed to cover a space. Combining expansive walls with floors that have less visible joints gives a peaceful sense of oasis even in broad, open areas, while the natural element of hardwood provides warmth and security. There’s no doubt about it: these types of floors are timeless. This versatile material continues to evolve but somehow never loses its classic elegance. 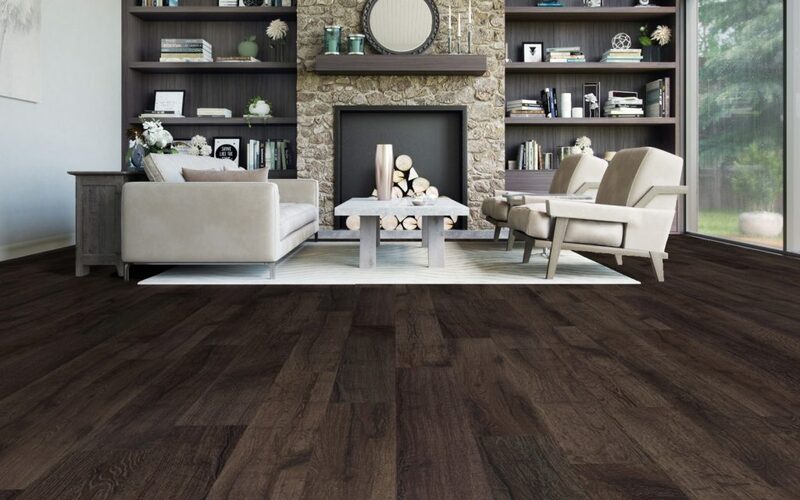 To find the style that’s perfect for your home, call us or visit the Chestnut Flooring showroom for the inspiration you need today.